Superseries Friday evening tournaments are a perfect way for our juniors to prepare and train for their junior tournament season. Sunny will organize various formats of mini-tournaments and competitive matches each Friday evening from 7:00-9:00 ages 8-16 (Teams IIA, Premier & Elite). Points will be awarded to each division winners and prizes will be given out at our Junior Awards Banquet at the end of the season. Please note that the age groups for the junior tournaments are boys and girls U19, 17, 15, 13, and 11–as of the final day of the tournament. All juniors must be members of the NNJSRA to be eligible for tournament play. A minimum of four tournaments should be played during each ranking season to achieve a national ranking. Either the National Open, National Closed or National Future Stars should be attended. Players must pass the Club Referees Certification Exam to receive a final end of year ranking. 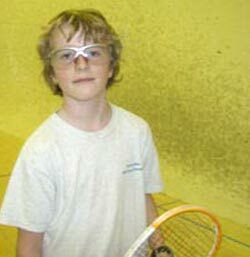 Always consult the US Squash web site for the latest criteria for achieving national ranking status. In order to achieve the best results any junior athlete competing in tournaments should make a commitment by taking two classes, one private lesson and one semi-private per week. 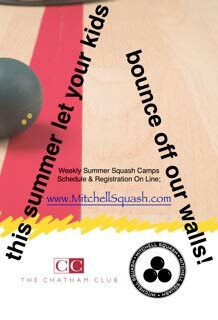 Practice time, training and match play in addition to this training schedule is also recommended. Many tournaments will have limited draws and early entry deadlines; it is your responsibility to enter before the deadline. 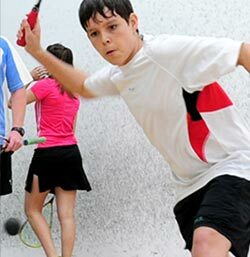 On line entry for all events is on the US Squash web site. There will be a tournament coaching fee charged for any juniors competing in coached tournaments-required of Premier/Elite juniors.